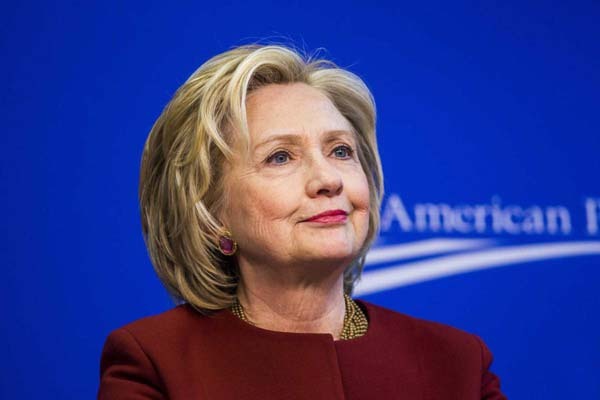 NEW YORK, Sept 15 (APP): Hillary Clinton, the Democratic presidential candidate, will focus on her “aspirational vision” for supporting children and families as she returns to the campaign trail on Thursday, as the campaign tries to draw distinctions with her Republican rival Donald Trump amid tightening poll numbers. In the final stretch before the Nov. 8 election, Clinton was slated to attend a rally in North Carolina and speak at a dinner in Washington. The 68 year old had rested at her home in Chappaqua, New York, for three days after being diagnosed with pneumonia and falling ill at a Sept. 11 memorial ceremony on Sunday. With the candidates’ health in the spotlight, Trump, 70, on Thursday released details of a recent physical examination, a day after Clinton released details on her medical condition. The Democratic presidential nominee said on a radio show Thursday that she would release more medical records beyond a Wednesday letter from her doctor detailing her pneumonia and routine lab tests that indicated normal results. Clinton is seeking to shift the focus back to her campaign message “stronger together” as both national polling averages and surveys in Ohio and Florida show Trump has erased her earlier advantage. One upside to Hillary Clinton’s break from the trail was having time to sharpen the final argument she will present to voters in these closing weeks,” Jennifer Palmieri, Clinton’s communications director, said in an email to reporters. Clinton responded to transparency questions on the radio show: “I’ve worked very, very hard to be more transparent than not just my opponent but really, in a comparison to anybody who’s run,” said. Clinton cited medical records with details similar to what President Barack Obama and his Republican competitor, Mitt Romney, provided in 2012, as well as 40 years worth of tax returns she’s made public. Trump has thus far refused to release his tax returns, even those which are not under audit, or provide further details on his charitable contributions. “What I think is really important about the emails is the chilling fact,” she said, “that the Russians are continuing to attempt to interfere in our election.” The emails were first posted by DCLeaks.com, a site MSNBC has reported has ties to Russian intelligence. “I’m increasingly concerned by how we’ve seen Donald Trump’s alarming closeness with the Kremlin become more and more clear over the course of this campaign. It’s deeply concerning,” Clinton said.